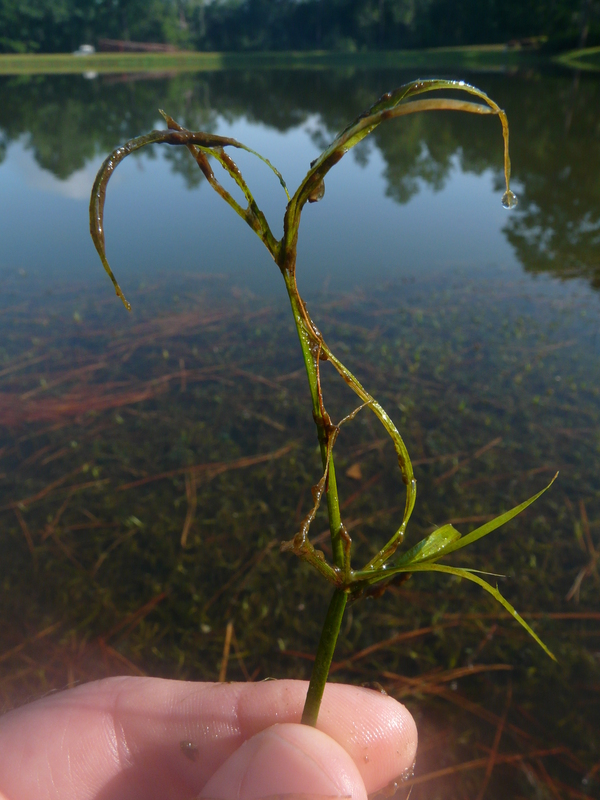 Here is a pond weed that was showing up a few weeks ago. It seemed to appear in flushes. The day we checked it, the weed was hardly showed up in the pond. It turned out to be creeping rush. Generally, we start with herbicides to control pond weeds followed by stocking carp to further control. 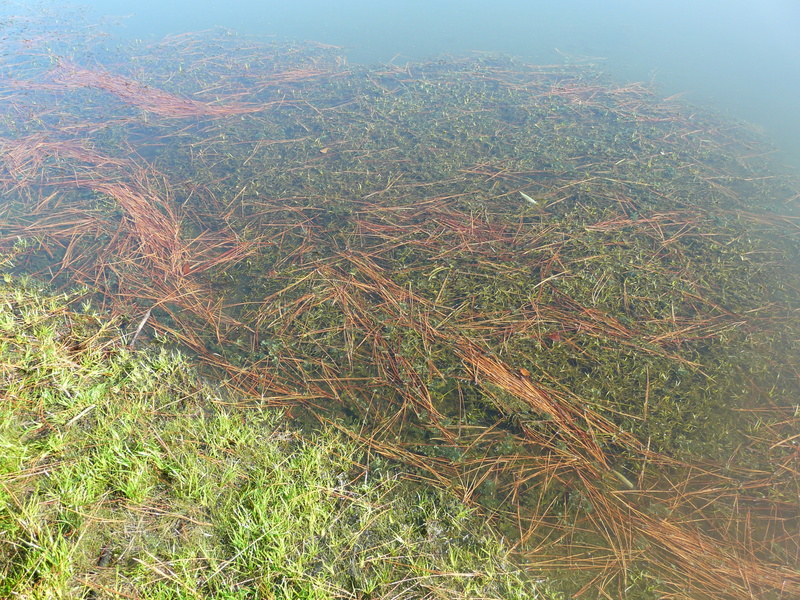 UGA Extension Aquaculture Specialist Dr. Gary Burtle says creeping rush can look like a sedge, but is a flat stemmed rush in the Juncus genus. Treat with diquat to burn back, and then stock 10 grass carp per acre (triploid and 1 pound each). Diquat is used at 1 to 2 gallons per surface acre over the infested area. During the hot months, treat ¼ to 1.3 of the pond area per treatment to reduce the risk of oxygen depletion. Aeration is also recommended.